This cute set of labels will remind you why you love cats! From the warm feeling of a cat purring on your lap, to those affectionate sandpaper kisses an hour before your alarm goes off in the morning - your cat's companionship is irreplaceable. 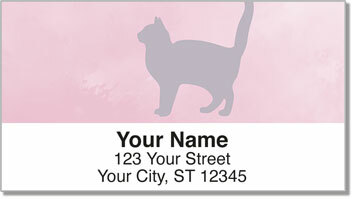 Show your appreciation for feline friends with an original set of return address labels from CheckAdvantage. 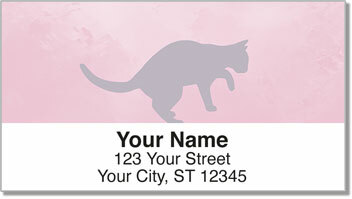 Cat Silhouette Address Labels will help you cut back on the time it takes to fill out envelopes by hand. That means more time for you and your curious kitty to play together! 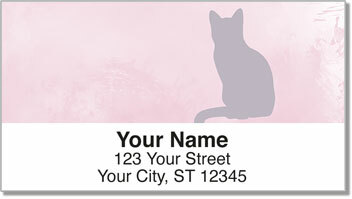 Order your own Cat Silhouette Address Labels now! 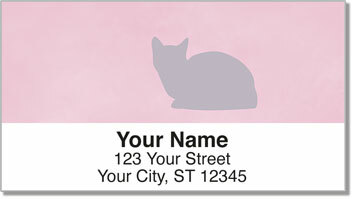 You can also get this darling design in a set of matching personal checks.